A distinguished high court judge is wrenched out of the bubble of her measured, intellectual existence when messy real life comes calling. (Review by Patrick Compton - 8/10). Just as The Wife (also showing in Durban) showcases the formidable talents of its lead actress, Glenn Close, so this crystalline adaptation of Ian McEwan’s 2014 novella shines a glittering light on English actress Emma Thompson. 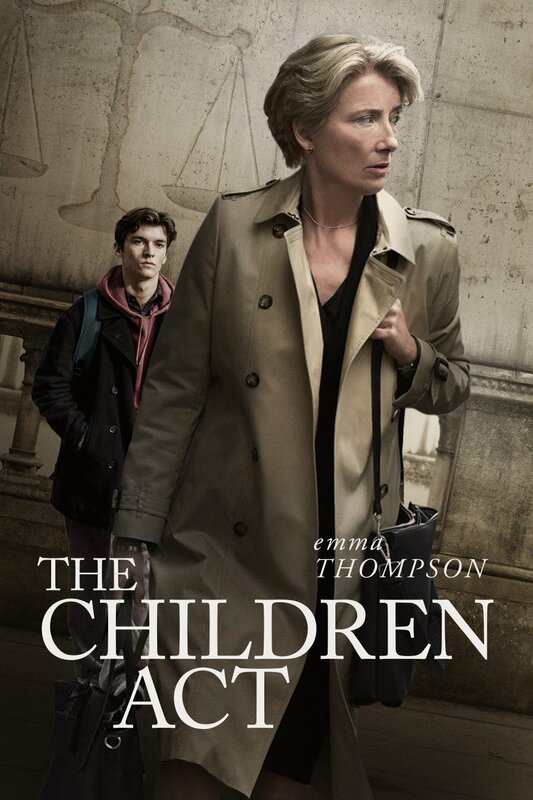 Playing Fiona Maye, a London high court judge in the family division, Thompson exhibits a formidably crisp intelligence as she picks her way through a number of complex, controversial cases. The movie begins with her verdict on whether a pair of conjoined twins should be separated, before Maye addresses an even more difficult legal and moral issue. A 17-year-old teenager, Adam (Fionn Whitehead), will die of leukemia unless he receives treatment that requires a blood transfusion. Both he and his parents are Jehovah’s Witnesses, however, and their faith will not allow the transfusion to take place, thereby leading to a legal battle between the hospital and the family. Adam is only 17, however, and as his case falls under the Children Act this gives Maye the power to make a decision on his fate. So begins an increasingly unsettling experience for the judge who is increasingly forced to look within her somewhat repressed self as she battles with the requirements of the case, the charming, vulnerable boy at its centre and the imminent breakdown of her marriage to a classics professor, Jack (Stanley Tucci). Scripted by McEwan himself – this is his second adaptation of one of his novels this year, the first being On Chesil Beach – the film is urbane, understated and handsomely realised by Sir Richard Eyre, a noted stage director as well as the director of movies such as The Ploughman’s Lunch, Iris and Notes on a Scandal. Aside from the outstanding central performance, Eyre gets excellent cameos from most of his cast, with Whitehead particularly touching as the stricken boy and Jason Watkins picture perfect as Maye’s fastidious gay clerk, Nigel, a role that injects a scintilla of dry humour into the drama. The Children Act is neither simplistic nor dogmatic as it tracks its difficult moral and emotional terrain and it is very possible that people will respond differently to its subtle promptings. The film allows all of its characters their dignity and good faith, and I found the psychological impact caused by the emotional wind that batters a woman who has relied on her intellect and the suppression of her emotions throughout her career particularly provocative. In this regard, Thompson’s impersonation of a very English judge under emotional strain is flawless.